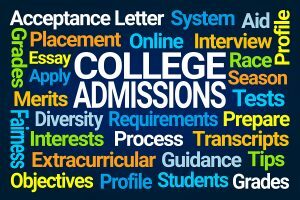 With the breaking scandal of parents paying large sums of money to secure illegal entrance for their children to top colleges, this last month has put a black eye on the whole college admissions process in the US. We can, and should, be outraged. However, I think it is a logical outcome for a country that has started going about things backwards. There is something horribly wrong when the whole focus of life is centered on a single decision that occurs when our child is eighteen. Wouldn’t it be better to focus on creating a robust life that can make the most of any opportunity? Wouldn’t it be more advantageous to our kids if we focused on living a good life instead of achieving a certain thing? Some have referred to the ability of a person to actively make their own way as an engagement mindset. This is a way of life that can be modeled and cultivated. Its development should start at a very young age. An engagement mindset is curious and delight-driven. It notices and asks questions. It cares about other people and is also resilient when those people inevitably let it down. It understands that failure is a great teacher and that progress is impossible without it. It is stretching and terrifying. It is fascinating and exhilarating. It notices a window of opportunity and steps forward. It sees a need and tries to fill it. It is enriching both for the person living it as well as for those with whom they interact. By helping our children develop an engagement mindset, we prepare them for success in all stages of life under any circumstances. High school, whether a highly ranked feeder school, low income public school or self-crafted homeschool, can be a time of exploration, learning about themselves and how they can uniquely impact their community. College, whether a top-tier university, a state university, or a small private school, can be a chance to interact with great professors, discover fascinating subjects and people, and create a place for themselves. A truly engaged individual can thrive in any situation. It is time to take back our kid’s childhoods. Rather than focusing on a series of accomplishments to add to a resume, let’s work on cultivating a resilient and caring human being. I was overwhelmed with how to help our son translate his unusual homeschool experience to overworked admissions offices where excellence was commonplace. Throughout the application process, Jeannette gave wonderful insight on how someone unfamiliar with homeschooling may not correctly understand the information as intended. She also pointed out aspects of our son’s achievements that seemed commonplace to us, but would not appear so to the admission office and should be highlighted.